Contact our garage door emergency services, we definitely will not disappoint! When the garage door is brushing against the rubber molding, or if it is having a hard time moving up and down, you may need to adjust the tracks. The tracks will serve as a guide for the rollers to move up and down. There are two tracks on a garage door, the vertical and the horizontal track. 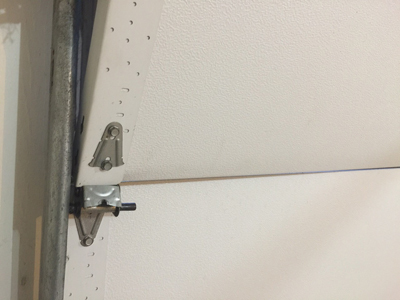 When the door is closed it is placed on the vertical track and when the door is open it is placed on the horizontal track, therefore when the rollers are not properly aligned on the track this could result in more damage to the garage door or the track. The gap between the edge of the garage door and the track is usually about ½ to ¾ inches, this way there will be enough space for the rollers to move in and out. Remember that when adjusting the tracks, the garage door should always be closed.